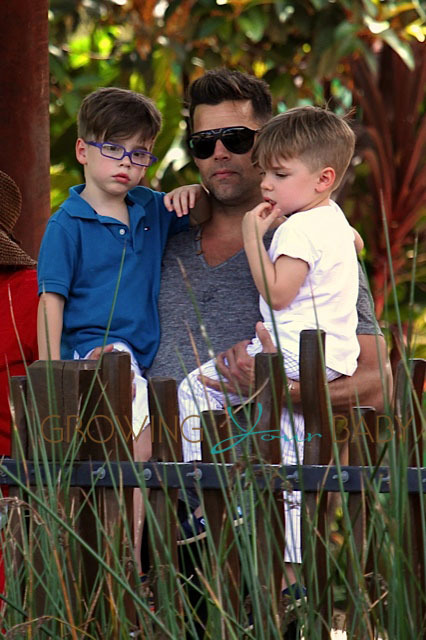 Home » Ricky Martin & His Boys Visit The Taronga Zoo! Well that was quick! 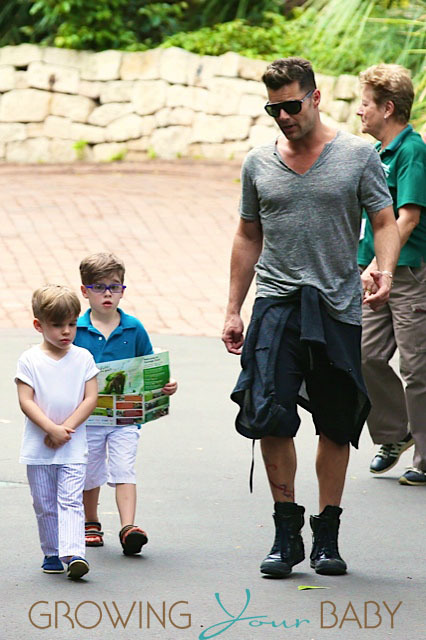 Just hours after they were spotted arriving in Sydney on an overnight flight from Los Angeles, Ricky Martin and his twins, Matteo and Valentino, enjoyed a day at Taronga Zoo. The singer and his boys must of made a quick stop at their hotel to change before heading back out to explore. While out at the zoo Valentino carried the map, navigating the trio through the exhibits. The family will call Australia home for the next few months while Ricky works on The Voice. He will be judging alongside Seal, Delta Goodrem and Good Charlotte star Joel Madden. He replaced Country Star Keith Urban, who is now judging American Idol.